Working dogs make a remarkable contribution to society and do everything from detect explosives to warn for oncoming seizures. There are however some things most dogs can't do, like call for help. Dogs who detect explosives may know what kind of explosive they've found, but usually can't communicate it to the bomb squad. Search and rescue dogs have a hard time calling in to tell their handler where the person they're looking for is. The FIDO vest can change all this. 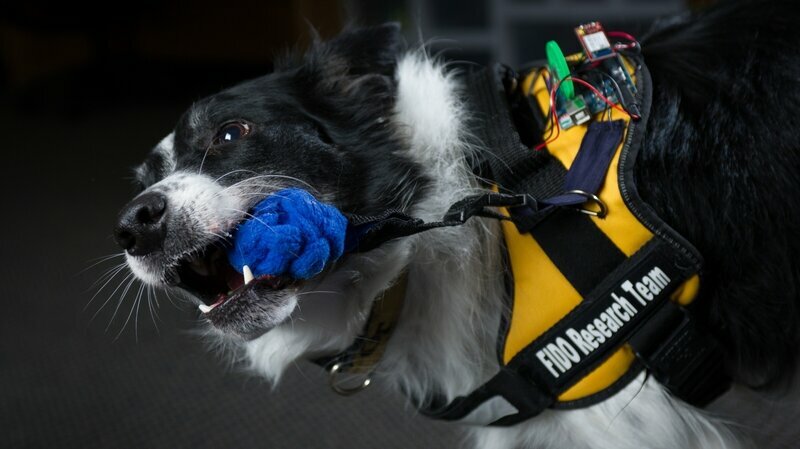 FIDO stands for Facilitating Interactions for Dogs with Occupations, and the idea is to use sensors dogs can activate through biting, tugging, or touching with their nose. With the vest, a dog who detects an upcoming seizure could tug at a sensor and call 911. The search and rescue dog could stay with the person they've found while sending a message to their handler with GPS coordinates. The dog who detects explosives could tell the bomb squad if the substance is relatively stable or if it's something that's dangerous to move. FIDO is developed by the Georgia Tech College of Computing. The vest is still in development, but the future looks bright.